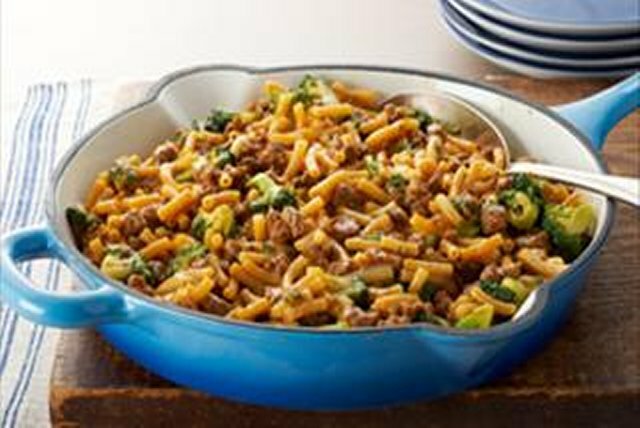 This fast and delicious pasta dinner with its chili zip is sure to please. Stir in water, dry Macaroni and chili powder. Bring to boil; cover. Reduce heat to low; simmer 5 min., stirring twice. Add broccoli; simmer 5 min. or until Macaroni is tender. Stir in Cheese Sauce Mix and ketchup until blended. Instead of ketchup, use whatever prepared sauce you have on hand, such as Kraft Brown Sugar BBQ Sauce.